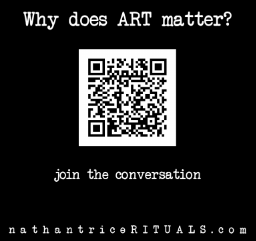 Nathan Trice is the Artistic Director/Founder of nathantrice/RITUALS, a project-by-project education and performing arts theatrical dance company based in Brooklyn NY. Originally from Detroit, MI, Trice began his training in 1988 under the direction of Aulani Chun in San Diego, CA at Mesa College. While training, he simultaneously completed his remaining two years of a four-and-a-half year contract with the U.S. Navy. Upon completion of his Naval contract, he was accepted into the Alvin Ailey Certificate Program in 1991. Since completing the program in 1993, Trice spent the following six years as a featured artist with MOMIX, Complexions Contemporary Ballet, Joseph Holmes Chicago Dance Theater, Kevin Iega Jeff, Donald Byrd/The Group and Forces of Nature Dance Company. During that period, Trice developed and began presenting his own choreographic work while simultaneously establishing his teaching philosophy, style and technique. In 1998, Trice created nathantrice/RITUALS, a Project-by-Project dance theater company as a means to share his own artistic vision. Since then he and his company have toured throughout the United States, Bermuda, Aruba, Japan, Argentina and Hong Kong. Over the past fifteen years, the company has performed in some of the most prestigious festivals, including Summer Stage, Jacob’s Pillow Dance Festival, the 92nd Street Y’s Harkness Dance Festival in the world, including City Center Fall For Dance, Lincoln Center’s Out of Doors, E-Moves Gatehouse Dance Festival, Symphony Space, Judson Memorial Church’s DADD series, Danspace Project, (IABD) International Association of Blacks in Dance, Hiroshima City Museum, Dance New Amsterdam’s (DNA) In The Company of Men, Aruba Festival and The Hong Kong Hip Hop Festival. During this time Trice focused on developing a number of multimedia projects that aim to reflect dynamics of identity, gender, culture, technology and the human spirit. The Recognizing Women Project created in 2001, bridges the gap between art and academia through collaborative interdisciplinary research initiatives between the company, high school & professional female dancers, and students enrolled in local university social sciences and humanities departments. The mission of the project is to create artistic/educational work that addresses various social, political, cultural contributions, as well emotional, psychological and spiritual experiences of women. A, Inquiry Dynamic into the future created in 2007, an inter-disciplinary exploratorial curriculum that invites adolescents and young adults in the arts and social sciences to investigate how contemporary concerns might develop when inserted into futuristic narratives. The mission of the project is to inspire and create forward thinking art. Strange Love: EPISODES conceived in 2011, is a serialized multi-media performance exploring courtship, intimacy and love amidst the music of John Coltrane, Miles Davis, and inspired by author Bell Hooks book ” All About Love” Strange Love: EPISODES gathers eight dancer/singers and a jazz trio to merge vocal renditions of Coltrane & Davis’ compositions with theatrical dance, movement monologues and a montage of ambient cinematic projects. The mission of the project is to episodically investigate the interior structures to the external appearances of courtship, intimacy and love. Critics have identified Trice’s work as innovative, thought-provoking and of otherworldly performances that reflect and touch the core of the human experience. For the past 14 years the company has been in residence at RestorationARTS ChoreoQuest program, a choreographer-in-residency program located in the Bed-Stuy area of Brooklyn. The residency program provides choreographers of African descent in the five boroughs of NYC the opportunity to innovate, incubate and present new works at their contemporary and dynamic rehearsal and presenting spaces at Restoration Plaza. In December 2016, Trice was appointed to lead choreographer and co-director of RestorationARTS ChoreoQuest residency program. Trice is also the co-founder of (ACRE) Artist Co-Creating Real Equity, an intergenerational, multi-racial group of artists and cultural workers committed to organizing for racial equity in the influential realms of art and culture: arts & education, funding, media, curation, casting and space. 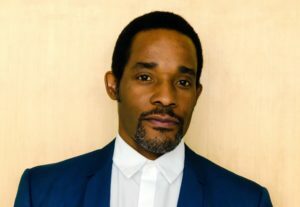 As an educator, Trice has taught his brand of technique/movement, given master classes, conducted workshops and lecture demonstrations, and choreographed for over 35 universities, colleges and performing arts high schools. He served on faculty at Long Island University dance department in Brooklyn New York for 10 years and continues to be one of the most sought after teaching artists in the academic dance world and professional dance studios nationally and internationally for the past 20 years. He was the inaugurating artist for the guest artist residency program for the dance department at LaGuardia High School of Music & Art and Performing Arts for four consecutive years. He is the recipient of the Restoration Youth Arts Academy Recognition Award, the recipient of the Maggie Allesee Copperfoot Award at Wayne State University, and has been commissioned by numerous actors and singers, the Alvin Ailey organization, Dallas Black Dance Theater, DNA’s In the Company Of Men, The Hearman LaVern Theater Group, Bermuda Dance Company and the New School for Social Research.